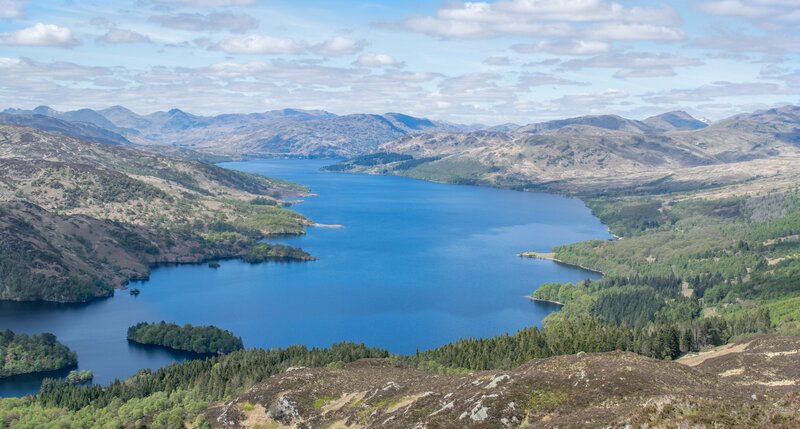 Wherever you go in Scotland you will undoubtedly find that perfect spot to enjoy some of the amazing scenery that Scotland is famous for. Here by the banks of Loch Lomond there is a small hill known locally as 'The Dumpling' (because of its pudding-like shape), and has one of the most amazing views that Loch Lomond has to offer. 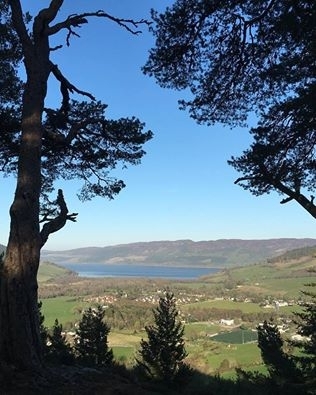 Standing at 465 ft (142 m) above sea level it only takes around 25 minutes to reach the top of the Duncryne Hill, although it is quite a steep path. I took these pictures yesterday evening and the view from the top was stunning! What are your favorite short walks with a BIG view? Anywhere in Edinburgh - such as St Mark's Park, near the Water of Leith - where you can see the castle! My friends and I once thought there must be over 100 places in the capital from which you can see the castle from a different view. It'd be great fun to find them all and take an amazing photo from every one! 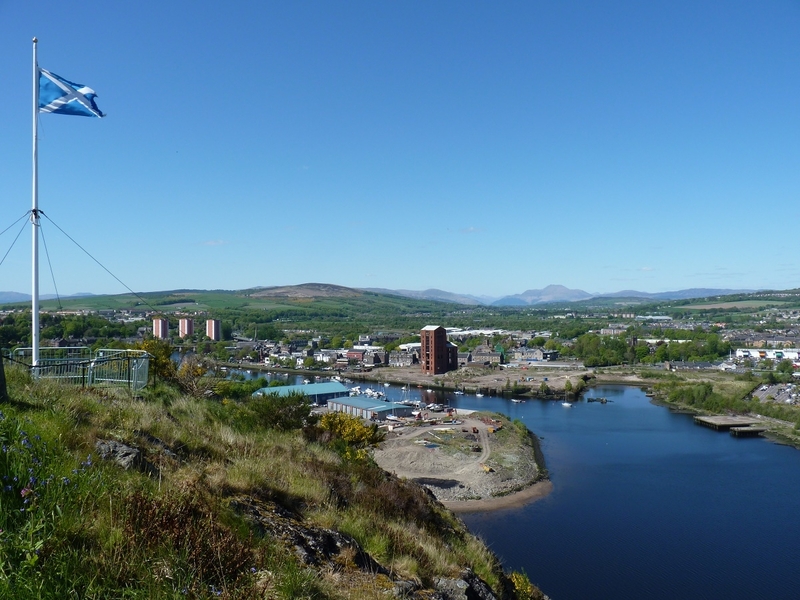 Last weekend I visited Dumbarton Castle and was amazed at the view from the top of Dumbarton Rock. 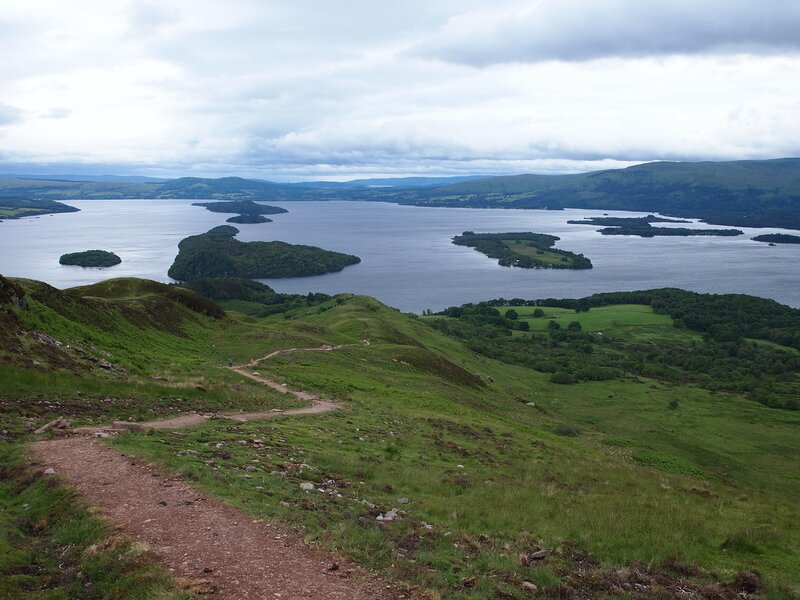 You can see all the way past Glasgow in one direction and all the way to Ben Lomond in the other, there are quite a few stairs to get there but the ratio of effort to reward is high! These are a few photos I took from the top. If you walk/run halfway round Arthur's Seat in Edinburgh you'll be treated to an amazing view, as I discovered on Saturday. Well worth it! And once you get to the viewpoint, it's all downhill from there - winner! 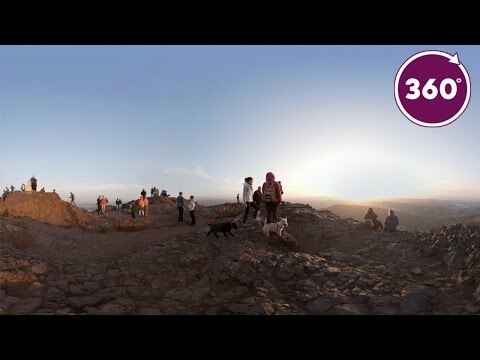 If you've not walked up Arthur's Seat yet like @VisitScotlandAmy, then see what you're missing with our new 360⁰ video! 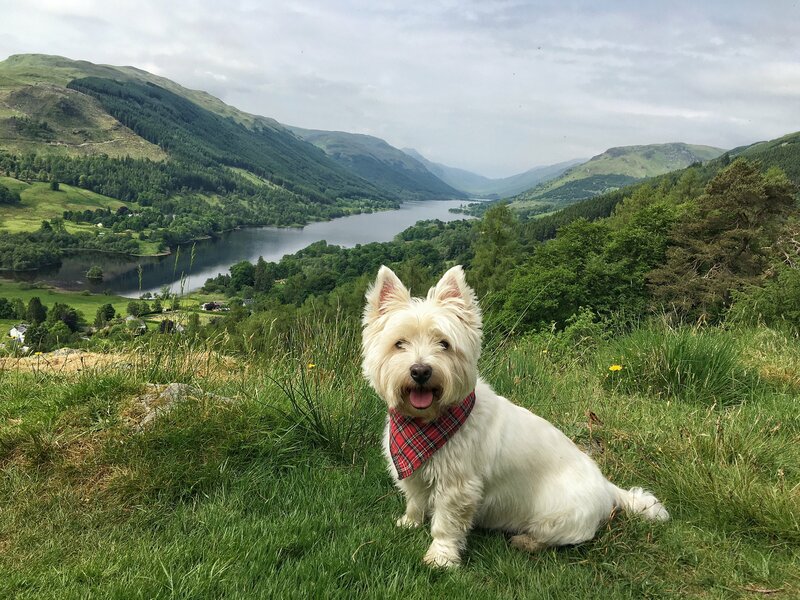 Amazing views @VisitScotlandNikki - love the dogs that made it up too, good for them!! 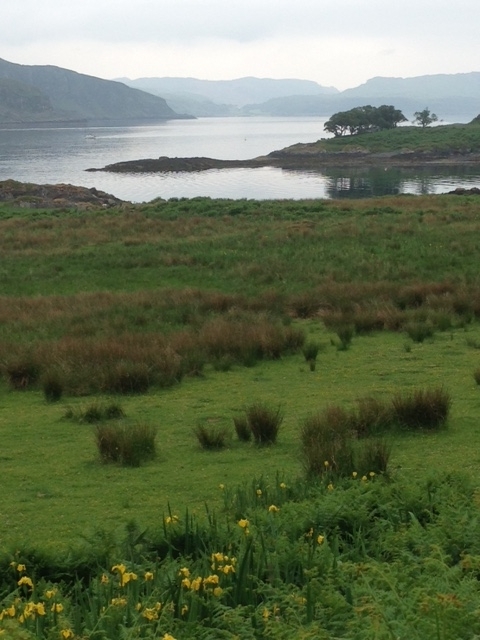 My new favourite walk has got to be Ben A'an (blog coming soon!). It looks deceivingly higher and more difficult than what it is, and while steep in parts, really doesn't take long at all. 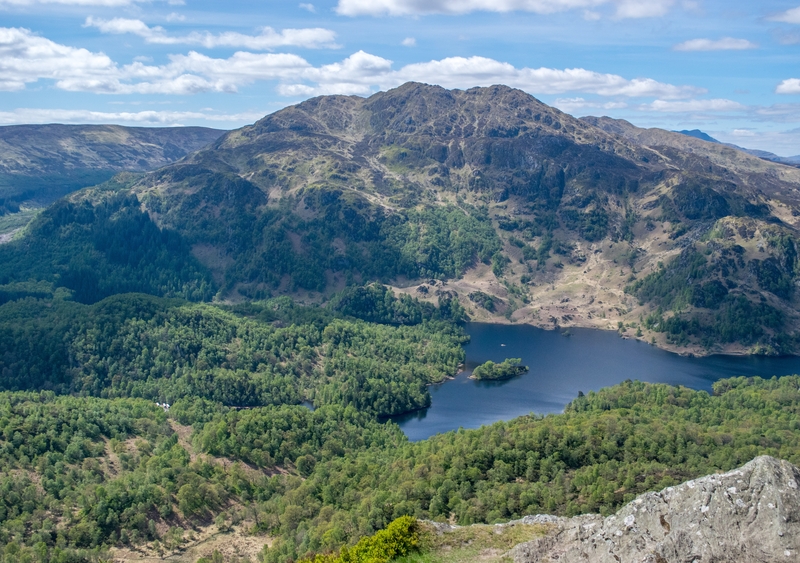 The stunning views of Loch Katrine from the top are difficult to beat! It was the perfect weather at the weekend for a stroll along the seafront in North Berwick. 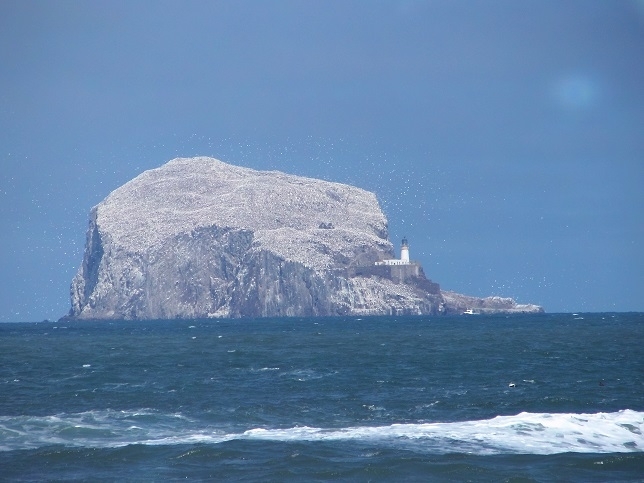 The sun was shining and despite the hazy views across the Forth to Fife, you couldn't miss the iconic Bass Rock. You can just about make out the white specs of literally thousands of seabirds who rest there (thanks to the camera zoom). My favourite short walk is through the magnificent tall trees at the Hermitage near Dunkeld. 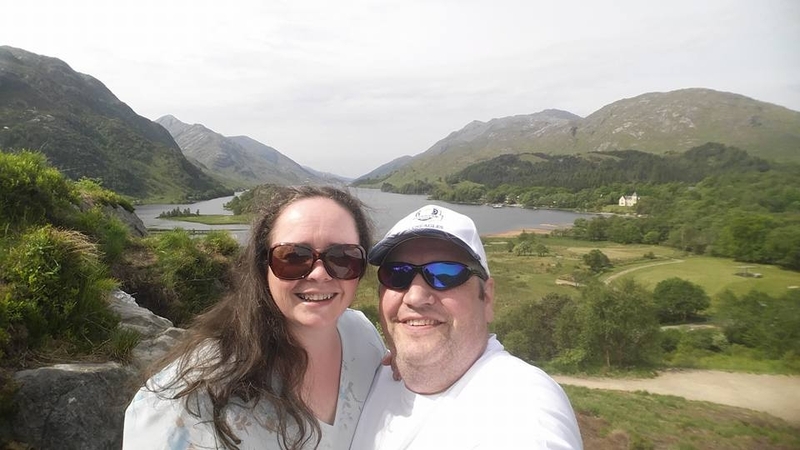 took my first walk up to the view point at Glenfinnan...only took 5 mins to get to this vantage point with my wife and WOW!!!!! One of the great things about being in a small town like Lerwick is that it is never a long walk until you are out in the wilds. Just a short walk up the path behind the sports centre gives you this view over the town! This might be pushing it a wee bit as a short walk but the views from the top are fabulous! 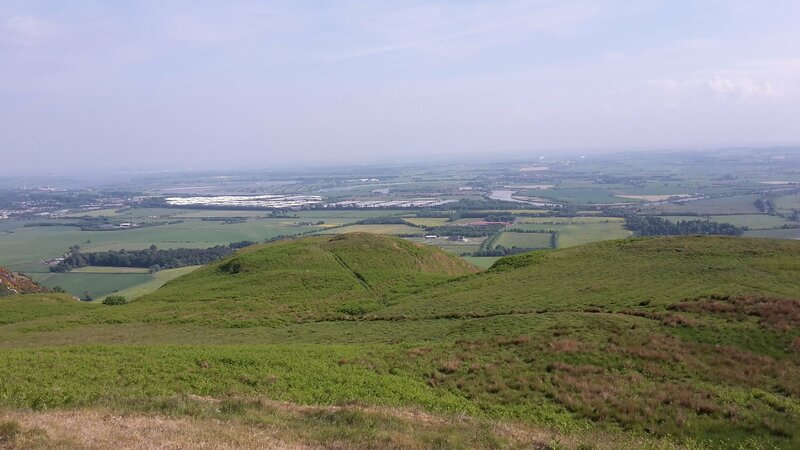 Dumyat Hill near Bridge of Allan. @Fofoma a short walk is relative to each person I guess, if it is 4 miles or under I tend to think of that as a short walk. 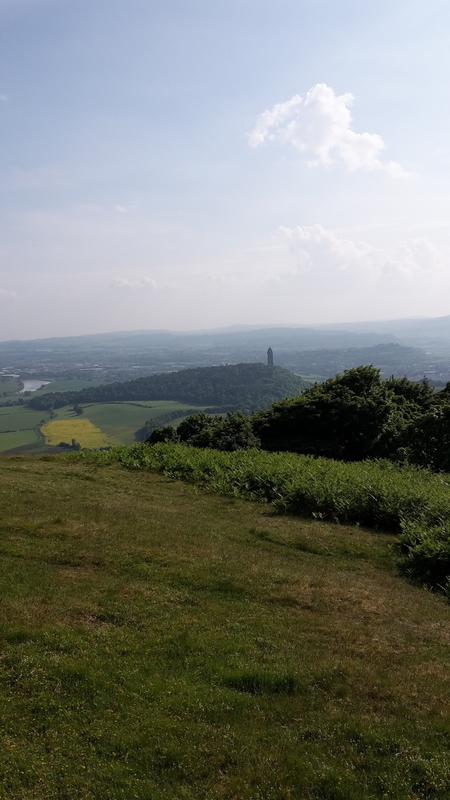 Looks gorgeous up Dumyat hill though and what an amazing view of the Wallace Monument! 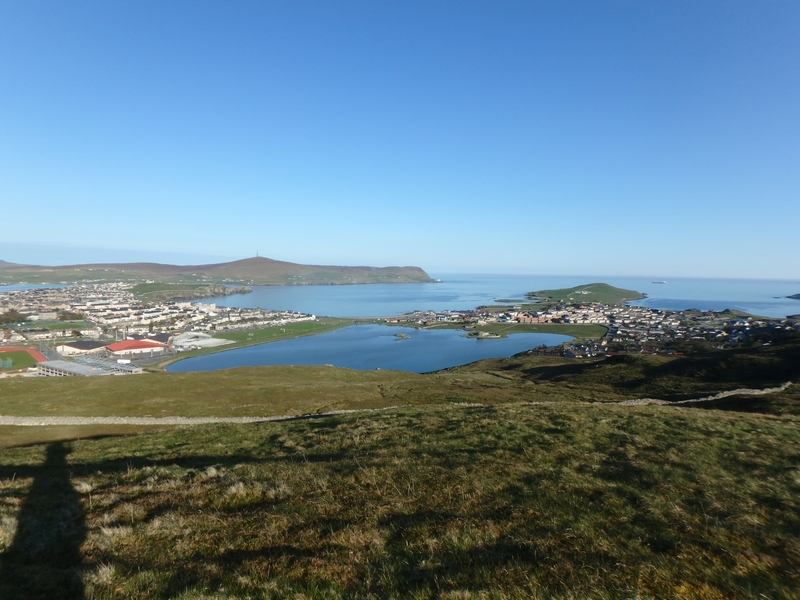 A Beautiful view indeed of Lerwick, @Robin_Fae_Unst, glorious weather too! Great suggestions here, noted a few new ones to add to my list! A walk I've taken my daughters on since they were young is 'The Whangie' on Auchineden Hill. 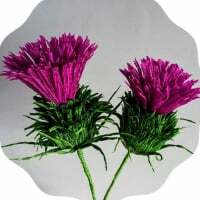 Situated in the Kilpatrick hills, between Milngavie and Drymen, it's just over a half hour drive from the centre of Glasgow. The walk itself is short (about 1.5hrs in total) and up a gentle enough slope. 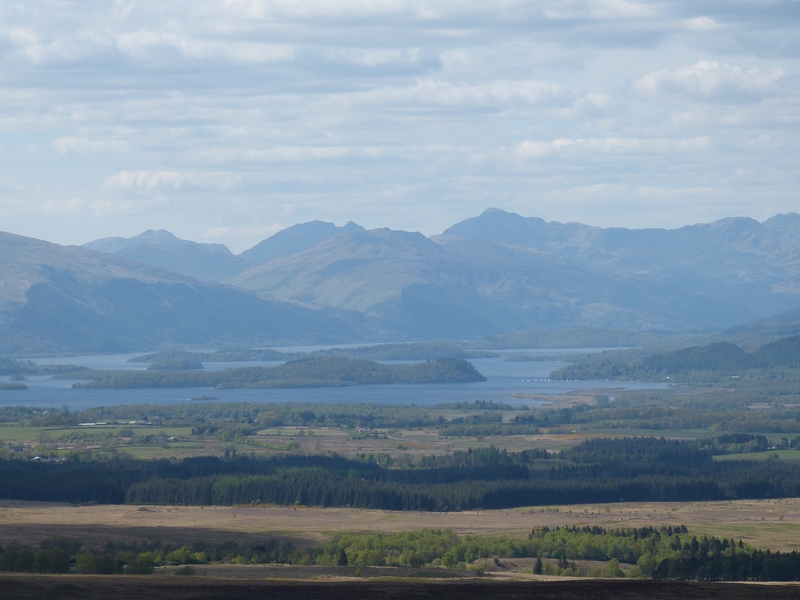 The views of Loch Lomond, Ben Lomond and the Arrochar Alps to the north are amazing. 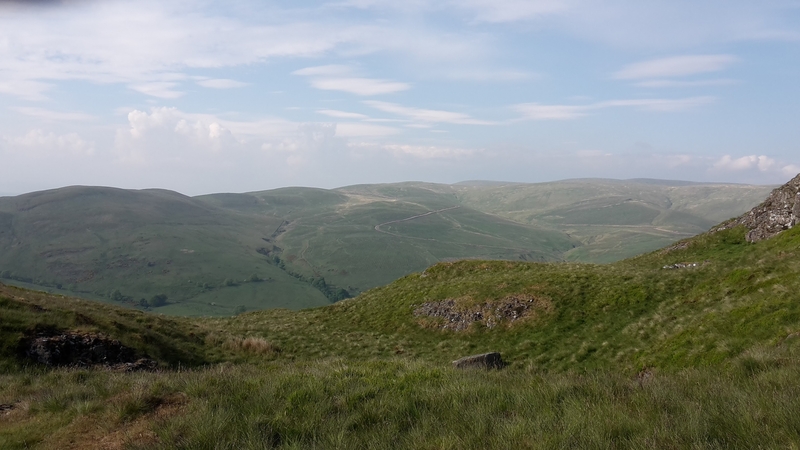 The Campsie Fells to the East and the whole of Glasgow stretching out to the South East. The Whangie itself (apart from having a great name ) is great to explore. A huge rocky gash in the side of the hill, you can walk through it's narrow corridors and even climb many routes up it's walls (providing you have the experience and correct equipment). I've not long moved to the area but the wee walk above the village up to the crag is fast becoming one of my favourites. Drum can get pretty hectic with tourists but this one seems to one mostly used by locals and is an oasis of calm. 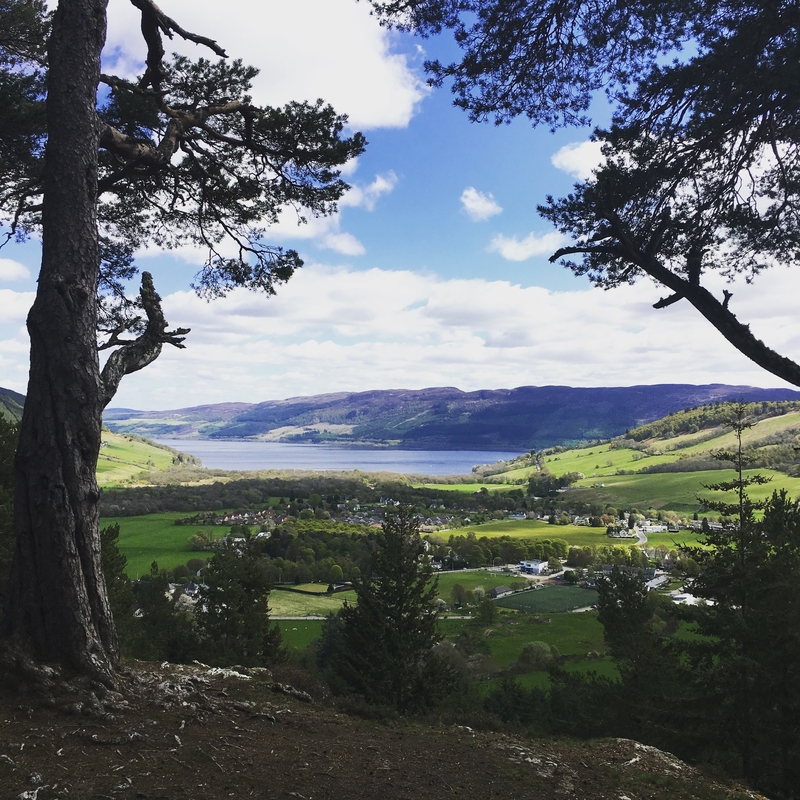 The view over towards Loch Ness is hard to beat! 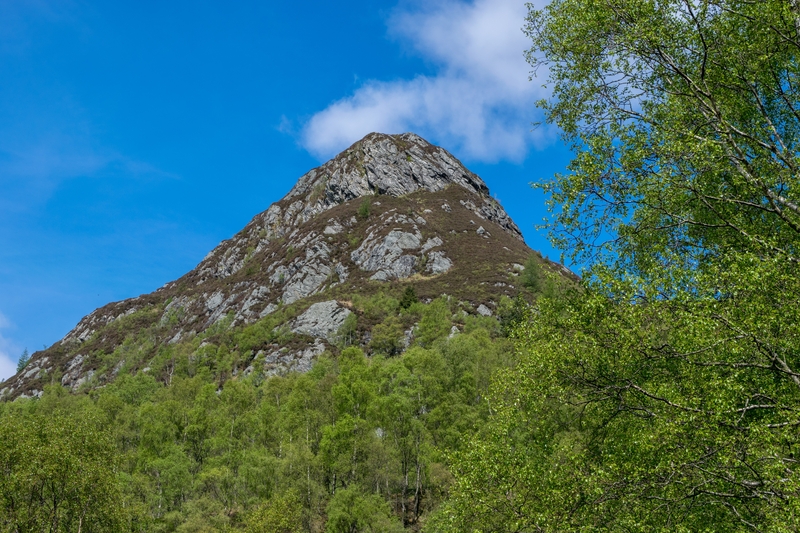 It's a short diversion off the Affric-Kintail Way. A wee favourite of mine is Corstorphine Hill in Edinburgh. 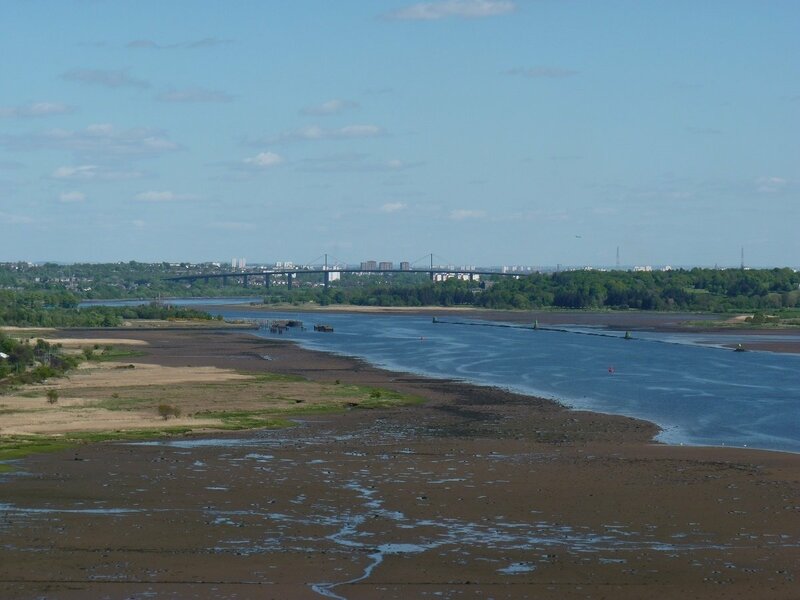 Beautiful views across Edinburgh - particularity to Leith and because it backs onto the zoo, there's often a zebra or another exotic animal to see as well! 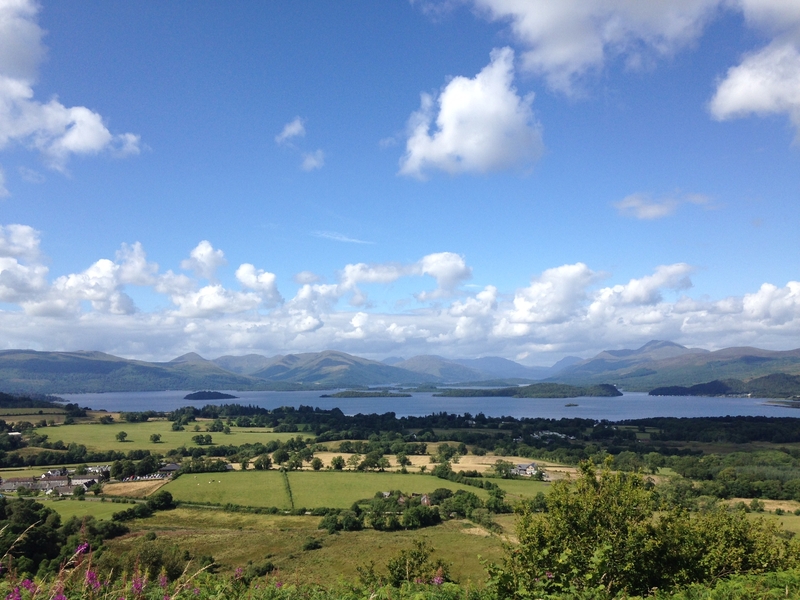 Walk up through the woodland section of Arduaine Gardens (NTS) south of Oban till you reach the viewpoint. It's not a long or difficult walk, a few minutes of gently sloping woodland path (wait for a sunny day). I am not posting a photo as that will spoil the surprise! 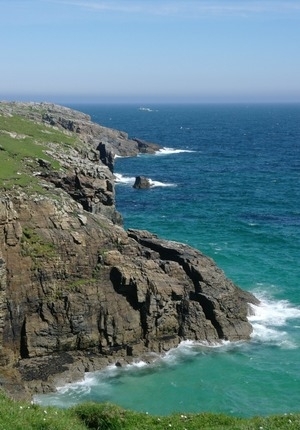 The coast walk from the Port of Ness taking in the lighthouse at the the northern tip of the Isle of Lewis is great. It is only 4 miles - and although it is claimed to be the windiest spot in the UK it was fantastic weather when we were there! Read more about it on the link above. 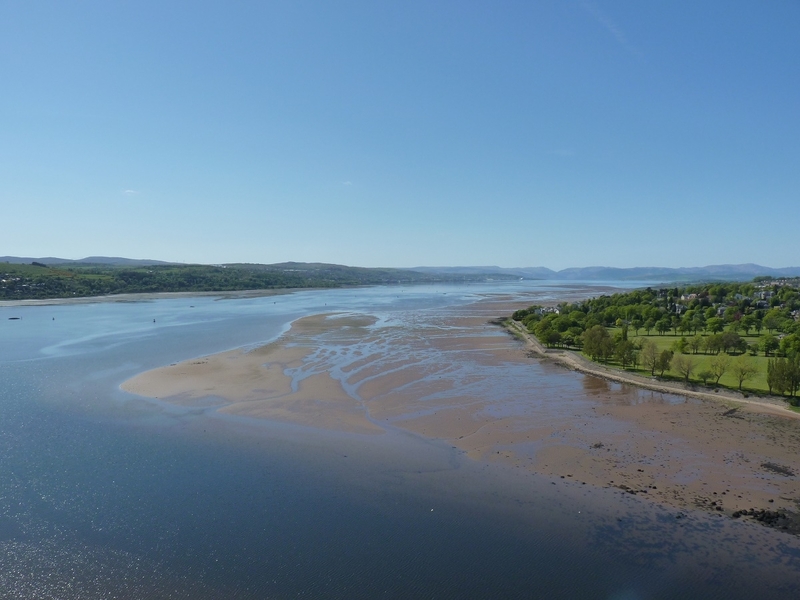 Love the views from Dumbarton Castle @ScotlandAdventures ! Love reading all of these wonderful posts about favourite look outs! 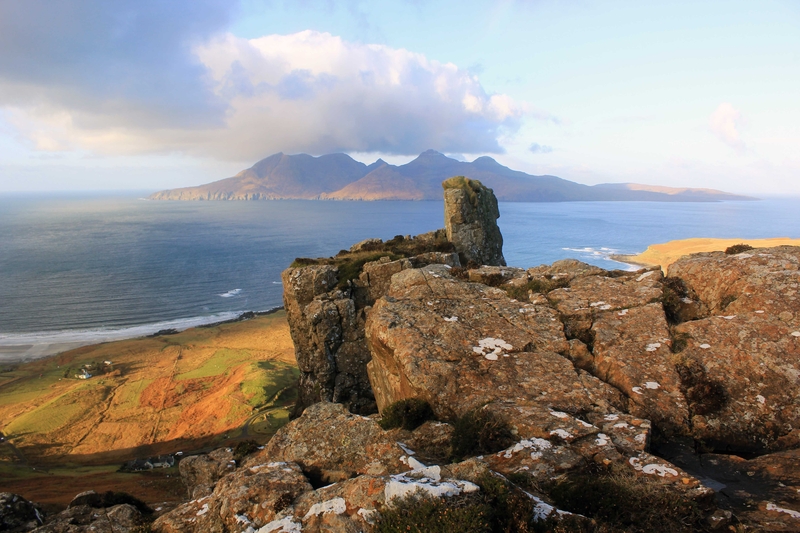 My favourite spot to enjoy an incredible view, is the 30 minute hike up to the 'Gods Finger' ridge on the Isle of Eigg. 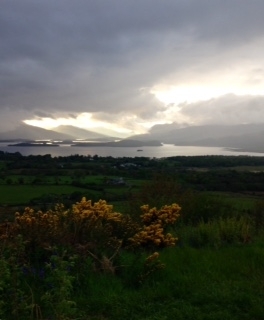 It's here where you can enjoy these stunning views over to the Isle of Rhum. This was taken last January when I got a beautiful clear and crisp day, this has to be my favourite Island and view hands down! We recently walked to Creag an Tuirc by Balquhidder. It's the ancient rallying point of the Clan MacLaren. 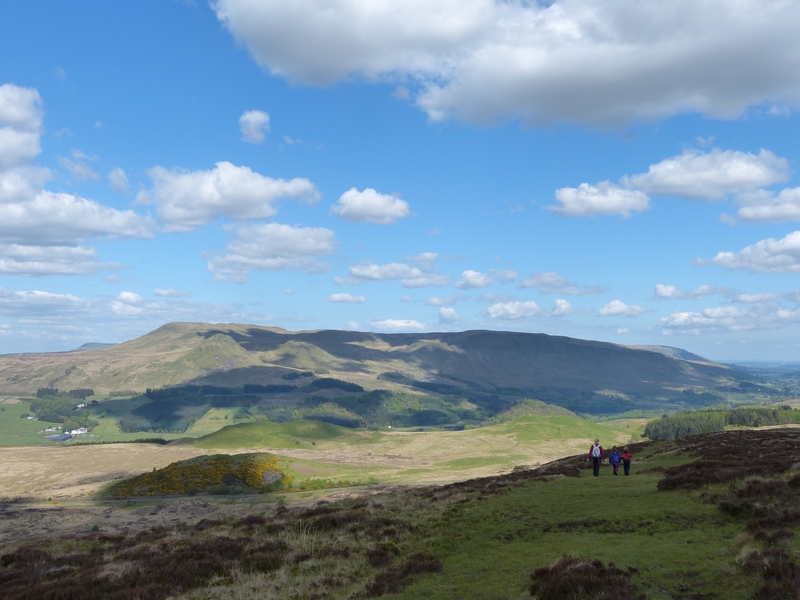 It's a short walk uphill but can be combined with a hike into Kirkton Glen to make it longer. 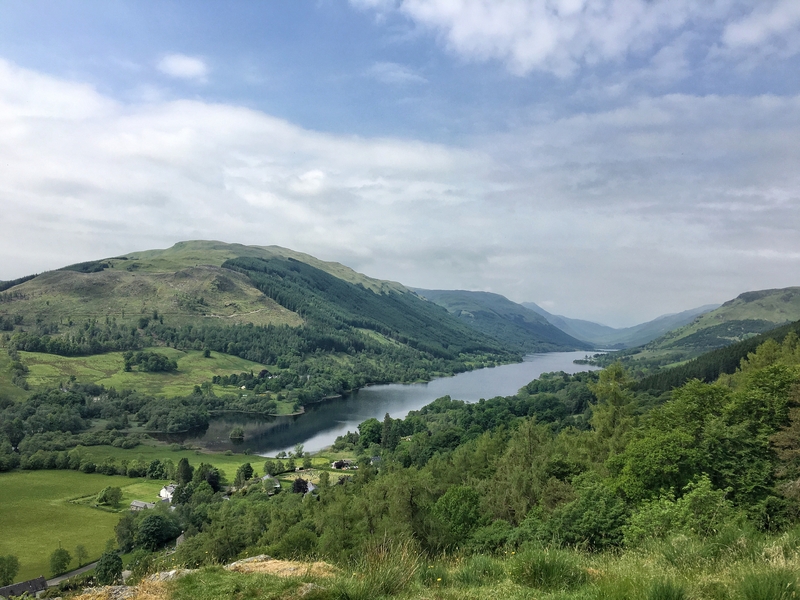 The view down over Loch Voil and Balquhidder was breathtaking. We sat for an age enjoying it. Here are a couple of photos I took. That's made me homesick! I grew up a few miles from there. They've linked up another walk now where you walk all the way along the coast from Ness to Tolsta. Worth doing if you're ever over again. 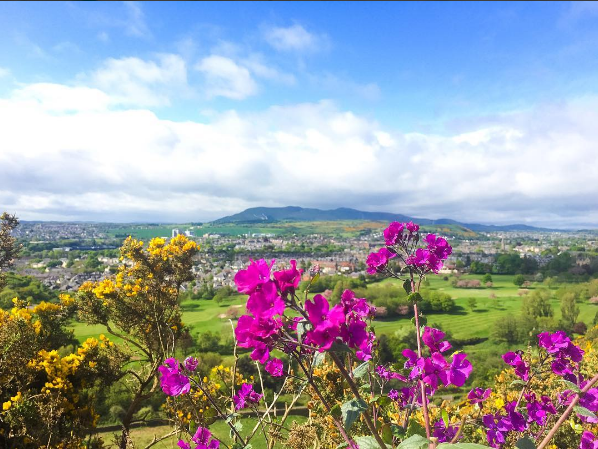 My favourite short walk with a BIG view... Edinburgh's skyline from the top of Blackford Hill! Amazing views of Edinburgh, with the Firth of Forth, Fife, and the coastline down to North Berwick in the distance. If you're near Oban and are looking for a short to medium length walk then I'd highly recommend getting the foot ferry over to Kerrera Island. The ferry leaves from a jetty just a mile or so from Oban town centre. 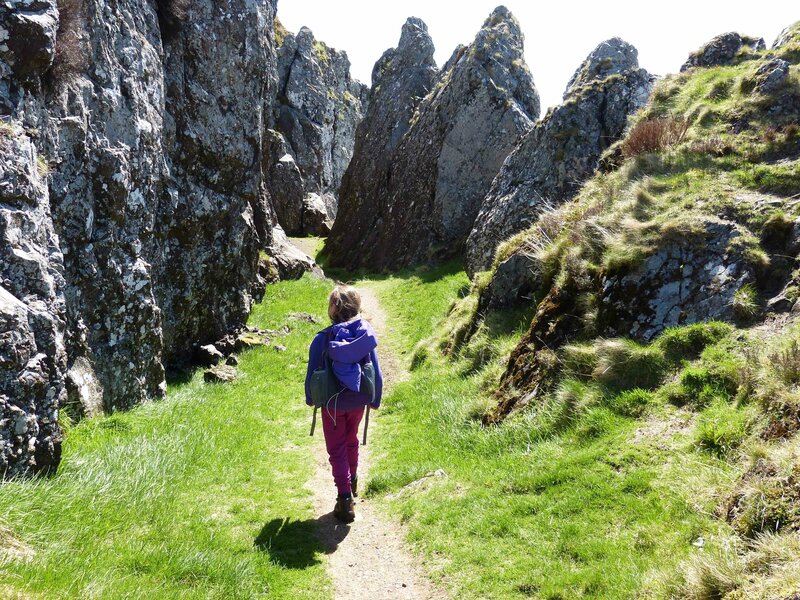 You can do a loop of the Island which is about 11 miles long or you can walk from the ferry for 2 miles to Kerrera Tea Garden. 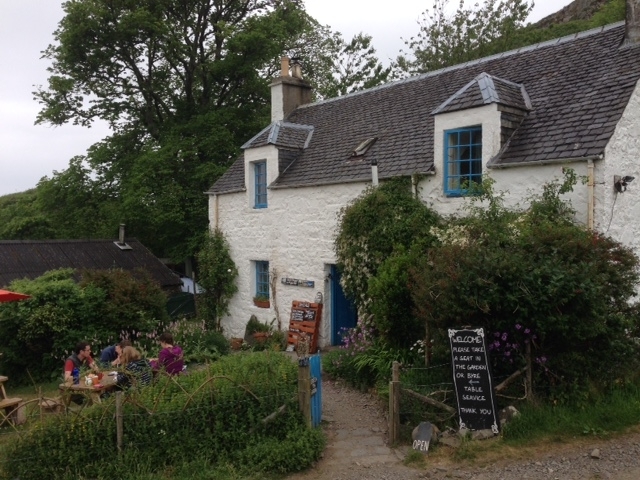 The Tea Garden is a hidden gem offering visitors amazing freshly made local produce. 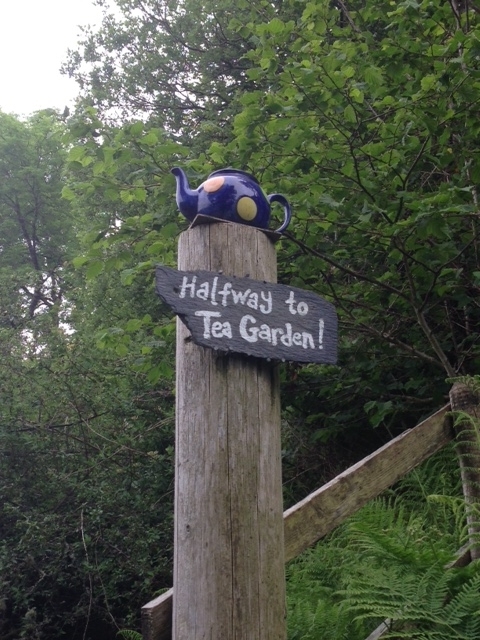 The walk to the Tea Garden is well signed with teapots hanging from the trees to guide you! Wear some decent shoes or boots if you are going to explore the island or walk the loop as it can get a bit muddy in bits. A wonderful day out.